Amp up your holiday decor with these Christmas centerpiece ideas that will surely be the center of everyone's attention at Christmas dinner. This is the most festive of holidays and what better to complete your Christmas decorations than to make centerpieces! Having an amazing standout decoration doesn't always have to be expensive. You just need to call on some creativity and a few supplies, and you'll be well on your way to making these DIY Christmas centerpiece ideas. I have some inexpensive and easy-to-make Christmas centerpiece ideas you can choose from. It goes from cute to classy, and best of all, you only need a chunk of time to do these elegant Christmas centerpieces. In addition, if you're looking to expand your reach, learn to sell these crafts and others on Etsy! You know I go all out with my home decorations. My Thanksgiving table was just the testing ground for the amazing plan I have in store for Christmas. I know some of you lovely folks decorate your trees and just go crazy with the lights. Most people focus on those things that they forget the Christmas table is the place where you'll join together for the family meal. With that being said, let's not neglect the table and make sure it's also filled with Christmas table centerpieces. 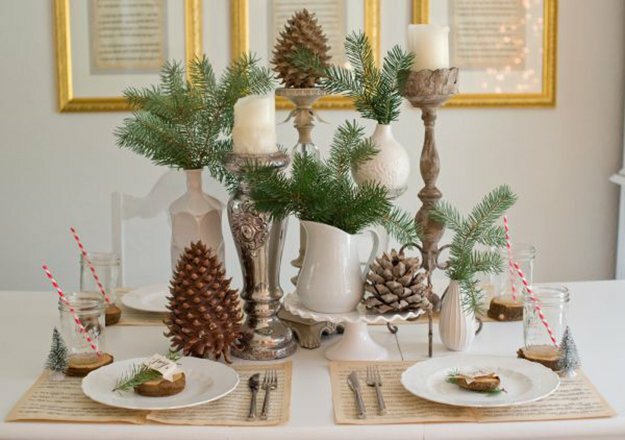 So, let's get started on these easy Christmas table decorations! Start getting crafty! Did you know, all you need is $5 to make this easy Christmas table decor? Just get some vases, toss in some cranberries and hydrangeas, and voila! You've got an amazing table centerpiece. If you're short on time, you can easily make this beautiful DIY centerpiece in no time. Stuff a few trinkets, like shiny Christmas balls, pine cones, and other ornaments, in your glass jar and that's it. Let your creativity soar with this Christmas centerpiece idea. You can try this with red or green candles. Tie a couple of candles with twine, surround it with some ornaments and pine cones, and you're done! If you want to have a rustic feel on your dinner table, this is the Christmas centerpiece you should make. White definitely looks stunning as a table color scheme. Utilize those branches lying around and make them into a wonderful table centerpiece! Make Santa's favorite reindeer this season with a couple of supplies. Do you know what's the best thing about this project? You can light it up! I recommend not making this with the kids, or you won't have any left to complete the design! The holiday edition of Kisses is just perfect for this sweet Christmas centerpiece. You can make a couple and line them up in the middle of your table. When all is done, you can have it for dessert. If you're on a budget, this would be the perfect Christmas centerpiece you can make. It would only take a few minutes to get this one ready. You'll just need a couple of hurricane vases, your favorite ornaments, and a ribbon for the finishing touch. Santa has arrived at your dining table with this Christmas centerpiece idea. This may take some time since you will need to sew your own Santa hats and make the candy cane. But, you can still be resourceful and head over to the nearest dollar store. This would be the perfect Christmas centerpiece idea for a long table. It adds sophistication and elegance. If you know your way around a drill, you can easily make your own. Just drill holes using a 1.5-inch drill bit, pop some tea lights in, and that's pretty much it. This centerpiece is that straightforward but a wonderful addition to your Christmas centerpiece ideas. 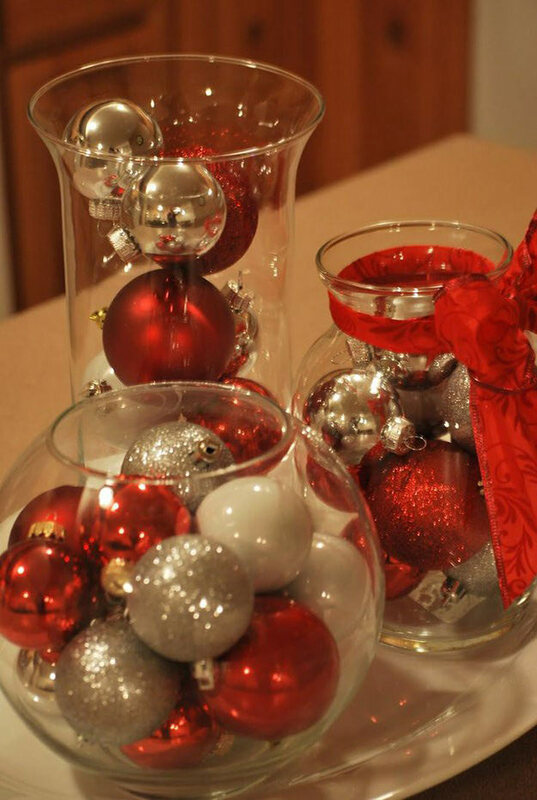 Who knew a beautiful centerpiece can be made by putting some Christmas ornaments in a glass bowl? Holly is another symbol of Christmas. A group of different-sized and -shaped vases with water and holly can be the quick fix to your table centerpiece dilemma. Holly Definition: A type of shrub that commonly has red berries, tiny white flowers, and dark green leaves. This plant is usually one of the symbols of Christmas. This will also work well with any colorful candy you can find around. You can use candy canes or even bite-size chocolate bars. I can think of so many sweet things I can fill this vase with. This is a healthier take on the Kiss-Mas tree. With a carrot as the base, you can use any fruit or veggie you can get your hands on. I just love how colorful and vibrant it is. This is a lovely Christmas centerpiece that will also leave your home smelling amazing this holiday season. Just tie some cinnamon sticks to any candle of your choice and place them on your table. You can even decorate any part of your home with this amazing idea. This would be a fun idea if you already have different wine glasses around the house. If not, I'm sure your creative side can make it work with just one kind of stemware. This would be a great addition to your Christmas centerpiece ideas. These Christmas centerpiece ideas will fill your dinner table not just with food but with beautiful decorations as well. I'm thinking of doing the holiday log, but who knows, I might mix and match a couple on this list of Christmas decorations. And, if you need a little something to complete your mantel, get the list of my favorite mantel decorating ideas here! How about you? 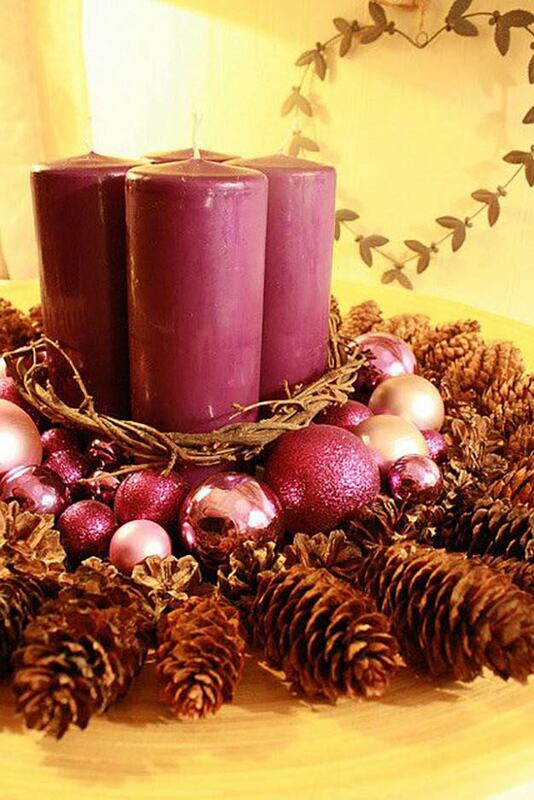 What's your favorite among these Christmas centerpiece ideas? Let me know your thoughts in the comments section below! Editor's Note: This post was originally published on December 6, 2016, and has been updated for quality and relevancy. Really great ideas. I like the fact that they don’t take up a lot of time as most people don’t have extra of at this time of year. Love these ideas! We have a banquet every year that we need centerpieces for on a tight budget! AWESOME! Keep up the good work!